Delaware County Board of Elections will receive almost $2 million in state funding to replace the county’s current voting machines, which were purchased in 2005 with federal funds through the Help America Vote Act. Karla Herron, BOE director, estimates the total cost to replace the BOE’s complete system will be $4 million. In May 2017, the BOE met with the board of county commissioners in a special session to discuss the purchase of new machines. Both boards agreed at that time it would be better to wait to see if the state would partner with the counties in sharing the cost of the new machines. Herron added the board has narrowed the selection to two companies for the purchase of machines. She said the board is looking at the company the BOE’s current machines were purchased from in 2005. If the board chooses it, it has a buyback program and would probably take the old machines. If the board chooses the other company, it doesn’t seem to have a buyback program, and the old machines might have to be stored until they can be sold off. Herron said there is a lot of work ahead of the BOE before the machines can be put into service. She said staff and the public will need to be trained on the machines, and all the poll worker manuals will need to be updated. Senate Bill 135, which passed last week in Columbus and was sponsored by State Sen. Frank LaRose (R-Hudson), gives the secretary of state the authority to request up to a total of $114.5 million in state funds for the reimbursement to individual boards for the purchase of voting machines. The bill is now waiting on the governor’s signature to make the law effective. “The bill is broken down into two components,” said Aaron Ockerman, director of the Ohio Association of Election Officials. Ockerman said the secretary of state will have the ability to request up to $104.5 million in funds from the state’s Office of Budget and Management to reimburse counties for the purchase of election equipment. The bill’s formula is set up so that counties with 0-19,999 registered voters will be given a base amount of $205,000; counties with 20,000-99,999 registered voters will be given $250,000; counties with 100,000 or more registered voters will be given $406,000. “The allocation is the bare minimum to get the counties started,” Ockerman said. According to Ockerman, once the base allocations are distributed among the counties, the remainder of the funds is to be divided up according to each of the county’s percentage of registered voters overall in the state. 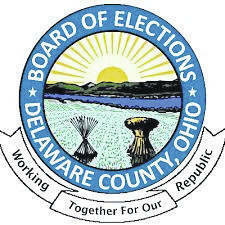 Delaware County has approximately 138,000 registered voters, which will yield a base amount of $406,000. The county’s portion from the remainder of the allocated funds will bring the total close to $2 million from the state. Ockerman said the second component of the bill allows for an appropriation of up to $10 million from the state’s general revenue fund for reimbursement to counties who had purchased or leased equipment after Jan. 1, 2014, and doesn’t exceed the county’s set allocation. Senate Bill 135 received concurrence Wednesday, June 27, from the Ohio Senate after passing in the House on Thursday, June 7, by a vote of 87-0. The bill was co-sponsored by both Delaware County representatives Rick Carfagna, R-Genoa Township (68th District), and Andrew Brenner, R-Powell (67th District). The bill, introduced in the Senate, was passed by senators 32-1 on April 11. This entry was tagged Aaron Ockerman, D. Anthony Botkin, Delaware County Board of Elections, Karla Herron, Senate Bill 135. Bookmark the permalink.